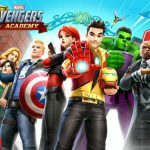 Tinyco’s new mobile game Marvel Avengers Academy offers a rather unique twist on the usual mobile game based on the Marvel universe. Your goal in this game is to build the ultimate Super Hero academy and play as your favorite characters from The Avengers. This time, though, these Avengers are aged down to become students who are just beginning to understand their superpowers . That means you’ll be seeing younger versions of Tony Stark/Iron Man, Bruce Banner/Incredible Hulk, Steve Rogers/Captain America, and more, as they learn how to develop their unique abilities and triumph over evil. Talking about the game’s mechanics, a lot of them have to do with time management. That hasn’t exactly sat well with all mobile gamers, but the game still boasts of standout graphics and your usual witty Marvel dialogue. 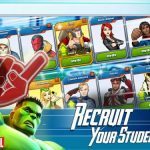 It is a very new game, to say the very least, but if you’re starting out, we thought you might find this list of Marvel Avengers Academy tips and tricks for questing worth checking out. You may be expecting the same old, same old thing we say about the importance of questing. That holds true in Marvel Avengers Academy, but it would be more important to know the difference between blue quests and red quests. The former refers to the quests that help push you forward when it comes to the main storyline, while the latter refers to the ones designed to earn you more coins and help you collect more items. These quests may be intertwined with each other, so there sometimes is no right path to choose, if you’re wondering whether to prioritize the blue or the red. Still, you’ll want to give some pause and make sure you’re choosing quests that are relevant to where you are at a certain point in time. And if we were to choose between blue or red quests, we’d go with the blue ones. You should always check a quest’s details to see the requirements. How many characters are needed, for instance? In any case, quests should be completed in such a way that they’re completed simultaneously, which would require you to also check for the action times needed for each member. Also, take care of faster quests while you’re actively playing the game, and schedule the slower ones before bedtime, or if you won’t be playing for a while due to school or work. Normally, we don’t advise players to rush a quest by paying premium currency. But in Marvel Avengers Academy, it really wouldn’t cost you too many shards – the game’s premium currency, in this instance – to speed through a quest or a mission. It’s cheaper than rushing Avengers to complete specific actions in line with a quest, that’s for sure. For examples of how many shards would be needed, you’ll need a bit more than 20 for actions that take an hour to complete, and will need just thee if you want to complete a mission. One thing people have been saying about Marvel Avengers Academy is that it’s excruciatingly slow to upgrade your characters and buildings. Sure, you’ll unlock new buildings and characters as you keep playing the game and complete more missions and quests. Sure, you can level up your heroes and give them custom outfits, allowing them to perform better and look better. But what’s in it for you as far as upgrading goes? As we said, it’s very, very slow – it looks like this game was designed to be a slow burn in terms of progression speed. Considering this weakness, which may not actually be one, you can work around it by taking your time and not rushing your quests, missions, and upgrades. Use the time that you have to plan your next move properly and get the items that are required by the quests. It can be tedious at times, but as you unlock more areas, it should be worth it. At the moment, there’s still a lack of things to do at the Avengers Academy; future updates should take good care of that. In the meantime, what you can do is to keep your Avengers busy. They should always be tending to one quest or another, specifically the story quests, which are best completed in succession. 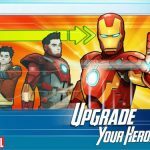 Enjoyed this quick guide for Marvel Avengers Academy? Stay tuned, as we are planning to update this guide with even more tips in the near future!